THE Union of Students in Ireland has noted with concern the findings of the Irish League of Credit Unions ‘Cost of Third Level Education’ study, which finds that 94% of Irish parents financially support their children through college, leaving 72% of parents struggling. The study has confirmed that one in 10 of those surveyed would even consider turning to a money lender to meet their needs. The credit union figures indicate a 15% increase on the previous year of parents supporting their children and an 8% increase in those struggling to do so. The study, which builds on trends uncovered for the last number of years, finds 40% of parents reaching into their savings to help fund college costs. USI President, Kevin Donoghue said that that this report reaffirms what the organisation has known for the last number of years. “Despite that fact that there has been no change in the rate or threshold of the maintenance grant over the past two years the value of the grant in fact has been significantly eroded when we take inflation into account. The fact that we are seeing substantial rises in both parental support for their children and their lack of ability to maintain this support is a worrying trend. Irish League of Credit Unions president, Brian McCrory said the results of this survey highlight the financial impact that college has on family spending and budgets, as well as the challenges and concerns parents have in relation to finance, grants, their children living away from home and job prospects. The students were asked about working throughout the term, job prospects in Ireland, course choice and emigration. “The results are very similar to the stories that we hear across our counters in credit unions every year, which is why we place so much emphasis on ensuring that we provide very competitive loan rates and advice for families who are dealing with this particular expense, Mr McCrory said. “Up until this point, the focus main for the year of 2015 has been on getting through the Leaving Cert. Thoughts must now turn to how they will fund life after secondary school. In Ireland, 94% of parents are on hand to support their children with college related costs by contributing an average of €453 per month per child. However, 64% of parents said that family budgets have been adversely affected by the increased registration fees and 41% of parents find covering the costs of accommodation particularly stressful. The survey results show that monthly income and savings are the most popular way in which parents fund their child’s third level education; credit union loans are the next most popular method, followed by a bank loan. A huge 59% of parents expect to get into debt in order to finance the cost of third level education for their children. €5,030 is the average debt per child, per annum that parents will incur. Worryingly, 10% of those considering borrowing have said that they consider a moneylender a viable option. “As always, we would urge people to avoid moneylenders and talk to their local credit union first. Credit unions are available to support both parents and students as they prepare for the academic year,” Mr McCrory cautioned. “Our research found that students living away from home are spending on average €1,033 per month on rent, transport, living and college related expenses. Students are paying an average of €380 in rent per month. To help cover these costs, many of these young adults will find themselves in search of part time employment for the first time. The results show that 69% of students will work to fund or part fund college. 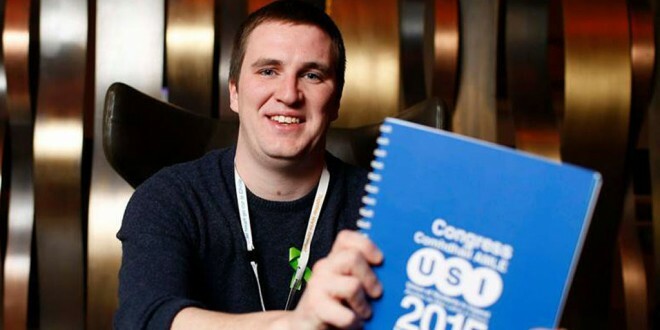 Students are working an average of 26 hours per week, getting paid an average of €11.50 an hour,” he added.